Beneath the low sky there is a field. At its edge two crows speak, of those that have fallen and those yet to be born into this world of the hollow wind. 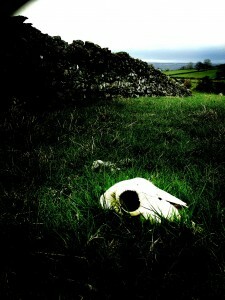 Existing between worlds, between laws, the Scottish Borders are mysterious, a place of secrets. Storyteller Nick Hennessey invites you to follow him into a treasury of story and song hidden beneath the fields and fells, the burns and becks, and shed light on the dark memories of place. Nick Hennessey came to storytelling whilst undertaking field research for a PhD in Cultural Geography. At this time he became a professional singer, songwriter and storyteller with a particular interest in the relationship between landscape, communities and stories and the re-invention of tradition. As an artist he has continued to research and perform internationally. In 2000 he won the World Championship in epic-singing performing the Kalevala, the Finnish national epic in Espoo, near Helsinki. He regularly returns to perform Kalevala in English for Finnish audiences. In 2009 he presented a program on BBC Radio 4 on the relationship between Kalevala and modern Finnish national identity. In the UK, he was commissioned in 2007 by the Plymouth Theatre Royal to write “The Crossroads” a short play based on the ballad Tam Lin for the celebrated Playhouse Festival. The play has subsequently been performed at Plymouth, York Theatre Royal, and Polka Children’s Theatre in London. 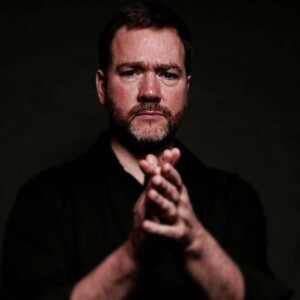 Nick has performed in the South Bank and the Albert Hall and extensively at folk, storytelling, and literature festivals throughout the UK and internationally (Estonia, Finland, Sweden, Norway, the Netherlands, Belgium, Denmark, Canada and two national tours of Japan). He has published three solo albums, the most recent of which, “A Rare Hunger” released on Harbourtown Records, received critical acclaim with airtime plays on BBC Radio 3’s Late Junction and numerous stations in the US.